This is the code that creates the shapefile. 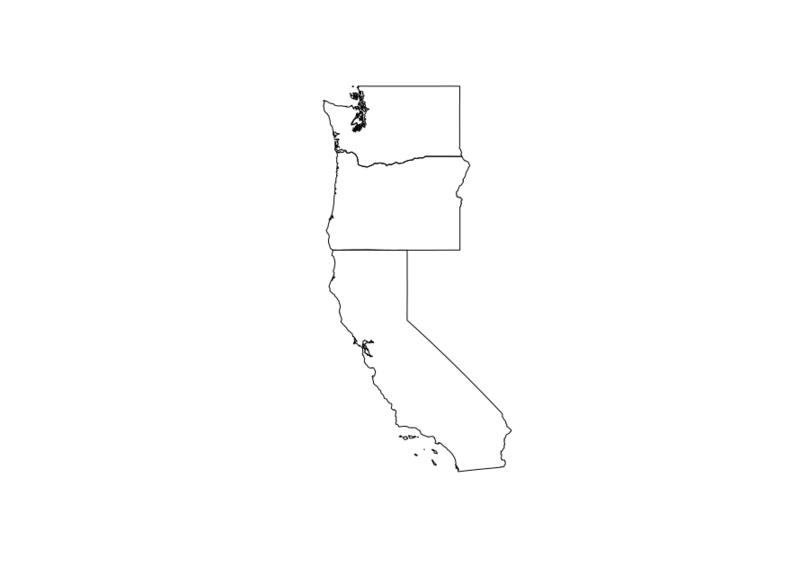 Now, I'm trying to combine the geometries based on the value of group_var, so California should stand alone while Oregon and Washington get lumped together into a single geometry. Unfortunately, st_combine doesn't take a grouping variable, and although the aggregate function in sf looks promising, code like this throws an error that group_var cannot be found. Furthermore, aggregate requires a function as a third argument, presumably because aggregate in the stats package applies the function to the data, but in this case, there isn't any data to apply a function to. I'm just trying to combine/aggregate the shapefiles. How to analyze and combine overlaping elevation maps into one? Finding variable names for SF1 Census files? Drawing border using R in shapefile based on dummy variable?